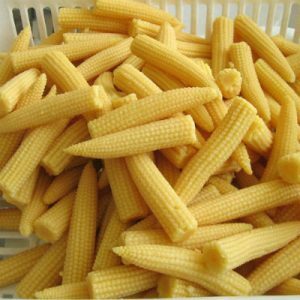 Baby corn is produced from regular corn plants which are harvested early while the ears are very immature, resulting in small ears or baby corn.Depending on variety, kernels can be yellow, white, blue or even pink.Baby corn adds a special, gourmet touch to many dishes and salads. 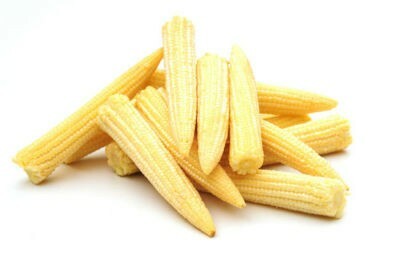 Its miniature size is appealing, as is the taste, color and crunch.Baby corn is high in folate, a B-vitamin; four ounces provides 31% of the RDA. 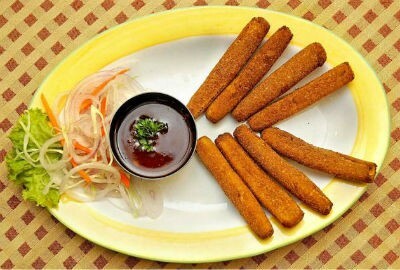 It is a good source of several other nutrients too: the same serving size also provides 13 percent of the potassium, 14 percent of the B-6, 10 percent of the riboflavin, 17 percent of the vitamin C and 11 percent of the fiber adults need each day. 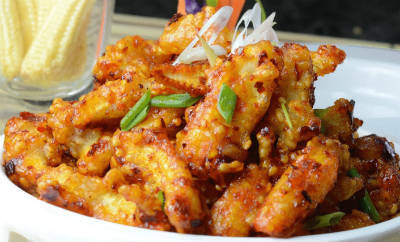 We have 27 Baby Corn recipes in this category. 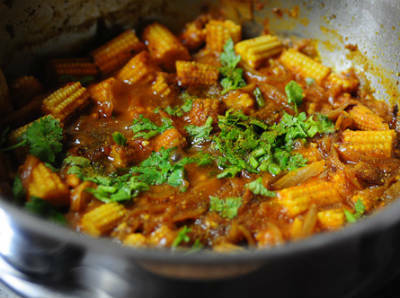 Here are the most popular Baby Corn recipes from Awesome Cuisine ever.